Your phone is your life. It's got your contacts. Your pictures. Your emails. Your text messages. Things you wouldn't want just laying around in public. And, more and more, your phone contains your company's secrets. Who your company does business with. Strategies. Financial information. Or, perhaps more important, customers' private information. 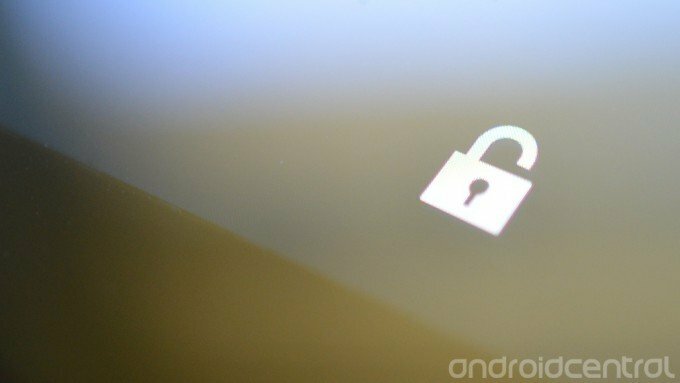 You need to keep your Android phone safe and secure. We can help. The good news is we've got more tools than ever at our disposal should something bad happen to your phone or tablet. There's absolutely no reason for you to lose data anymore. Nor is there any reason for you to fear the security of your data should your phone be lost or stolen. And if you're using your phone for work as well as personal business, there's no reason why your company should have to worry that its data is secure. For personal use, you've got to start by putting a lock code on your phone. Be it a simple PIN, pattern, password or facial recognition, you simply can't afford to have your business spread out where anyone can see it. (In fact, stop what you're doing and check your phone. If you don't have a lock code on it, here's how to add one.) But that's only half the battle. We recommend using a password manager that helps you create and store unrecognizable passwords — gibberish, really — to keep scammers from simply guessing their way in. And then we demand that you start using two-step authentication — a password and a unique, one-time code sent to your phone — for your most trusted accounts. That means Google. That means Facebook. That means Twitter. You simply can't afford to. For businesses, you've got things like Samsung's SAFE and KNOX, which help provide walled gardens for apps or data, under company control and completely separate from your personal stuff. That means your stuff is yours, their stuff is theirs, and never the twain shall meet, all on one device. And there are other options, too, from many other providers. It's an old wives' tale that Android isn't secure. It's only not secure if you don't bother to make it secure. And we'll help you through it. If you're hoping to have the Arlo Audio Doorbell work in tandem with one of the Arlo cameras, then you are in luck, but how do these two products work together? Apps icon in the app drawer (recently used apps) have a snowflake â„ on its name. What is it? Ok, I take it you have an Oppo A57. Does it have any features (or 3rd party apps installed) that can "freeze" or hibernate an app? How much do Ring camera storage plans cost? Ring's smart security cameras work fine with a free account, but they're made even better with a Nest Protect subscription. With multiple Ring Alarm Security Kits available, it can be tough to figure out which one you need. Here's our suggestion on which one you should get. Being safe and secure is something that everyone deserves. But is the Swann standalone Security Camera up to that momentous task? Do I need a subscription for a Netgear Arlo security camera? If you are considering the Netgear Arlo security system, but don’t want to worry about subscriptions, then you’ll likely be wondering if things will still work as advertised. Just had the same alert from Lookout. Also running Android N DP5 on a Nexus 6. This could very well be part of the N preview code.